Roadware 10 Minute Concrete Mender™ penetrates deeply into concrete, making repairs from the inside out. 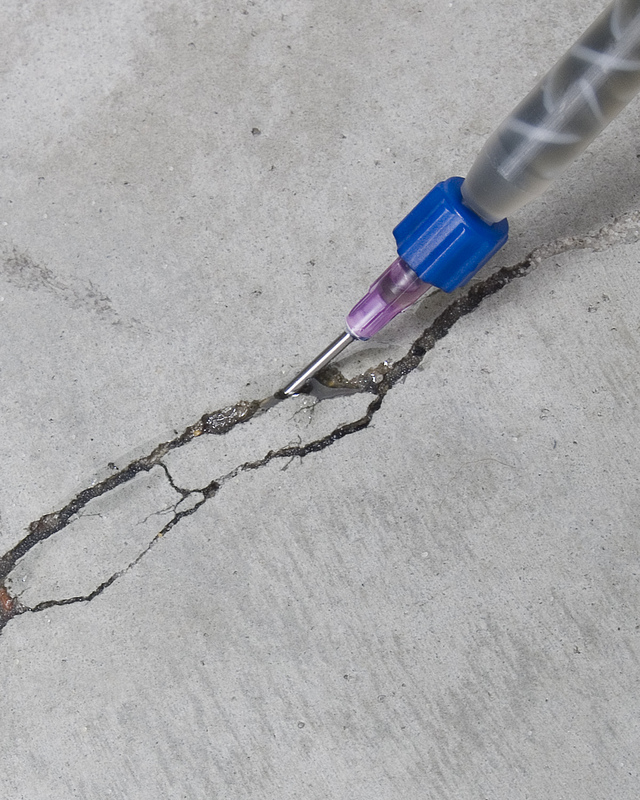 With a surface tension one-third of water, this two-part polyurethane may be needle injected into concrete cracks as small as one millimeter. Through a process Roadware calls, “Microdoweling,” the polyurethane drives itself into concrete surfaces and bonds concrete back together in 10 minutes at 70 degrees F. The repair will not get brittle over time and may be coated or polished within minutes. Note: A high resolution photo is available for use by the media on our Public Relations Photo Page.